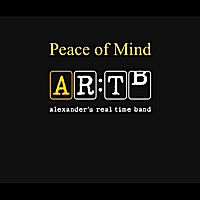 This is the first studio single from Alexander's Real Time Band. This Portland, Oregon based ensemble is known in live performance for it's songwriting in a wide range of genres. This particular song plays tribute to the Pop / Jazz / Bossa Nova stylings of '60s ensembles such as Sergio Mendes' Brasil '66. This is the first in a series of singles destined for the groups debut album. Personnel: Nancy Durham - percussion; Hershel Yatovitz - lead guitar; Sarah Linderman - cajon drum, cymbals; Susan Peck - keyboards, harmony vocals; Alan Alexander III - acoustic guitar, bass, keyboards, lead and harmony vocals.